Some trade shows are more fun than others, and let’s be honest -- Nightclub & Bar Show is one of those shows that is anything but boring. And who says you can’t learn while you're having a blast? 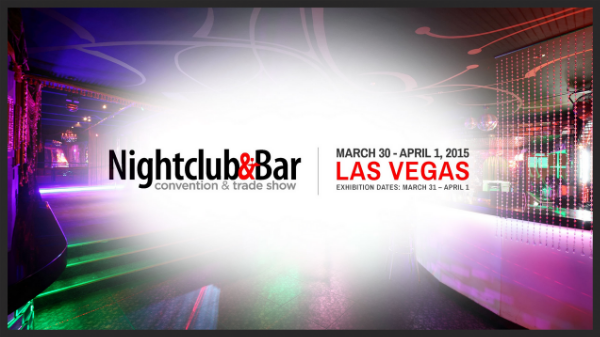 From March 30 to April 1 at the Las Vegas convention center, thousands of nightclub, bar, restaurant, beverage and hospitality professionals will be gathered in one place to discuss and learn about this exciting segment. And Foodable WebTV Network will be right there, ready to bring you into the middle of all the action. Prepare to get the inside scoop of the hottest beverage trends and products, and to hear what the business’s leading players have to say in exclusive interviews with Foodable. This industry moves quickly to keep up with today’s restless consumer. With that being said, so does the Nightclub & Bar Show. And with this year marking the 30th anniversary of this crowd-favorite event, Nightclub & Bar is uppin’ the ante for 2015. So what are some of the notable highlights for this year’s show? “Nightclub & Bar Show attendees will learn from some of the best speakers in the industry through our conference program and hear the amazing story of Steele Platt’s creation of Yard House, Bar Rescue’s own Jon Taffer talking about managing your bar, and pro skateboarder Tony Hawk revealing how he took his passion of skateboarding and created a global empire from it,” said Leo Squatrito, Group Vice President, Nightclub & Bar Media Group. Not only will the best of business being speaking at the event, but the biggest brands in the industry will also be in attendance. “Our show floor is packed with over 700 companies including big brands like Diageo, Bacardi, Beam Suntory, E& J Gallo, Anheuser-Busch, MillerCoors, Heineken, Boston Beer and over 300 new companies with new products and services exclusively for the nightclub and bar industry,” said Squatrito. But the show is so much more than the impressive attendees list. “They are starting the week off by hosting a beach party Sunday 11-4 at Encore Beach Club – which will be a great opportunity to network while having a relaxing day in the sun!” said Stephanie Richardson, Nightclub & Bar Show Advisory Board Member. There will be a new conference category called “Top 30 Tips,” which will feature eight new 50 minute conference sessions. A boot camp at XS with private insider training from the #1 nightlife operators from the 2014 Top 100 list. The new workshop - “Make Your Dream a Reality,” a beginners guide to opening a bar or expanding to new locations. Nelly will be performing live in concert at the opening nightlife party at the Bud Light House. All of the latest trends in the beverage industry will be brought to the bar table at this show. “Two trends that seem to be taking the on premise bar space by storm are technology products and apps that help bar operators do everything from inventory control to employee scheduling,” said Squatrito. How technology enhances bar operations continues to be a popular topic of conversation. But what about the booze? What are consumers gratifying to at bars recently? Of course, the craft beer movement will also be discussed extensively.This trend has spread across the country. Craft beer has been become so much of a consumer favorite – that guests now expect craft beer options to be on bar menus. “The show offers a Craft Brewers Pavilion where you can learn about and try new trendy craft beers.” said Richardson. And head’s up! Foodable WebTV Network will be capturing footage for its newest show that will be taking a closer look at the craft brew scene. Stay tuned for the release this summer. So, you are ready to attend, but you are not sure what do you do next? This is a huge show and it is not possible to go to absolutely everything. Squatrito recommends taking a look at exhibition map and conference schedule to map out your show route beforehand. With that being said– the show starts in five short days, so you better start preparing (if you have not already) so you can get so much more than just a taste of what the event has to offer.